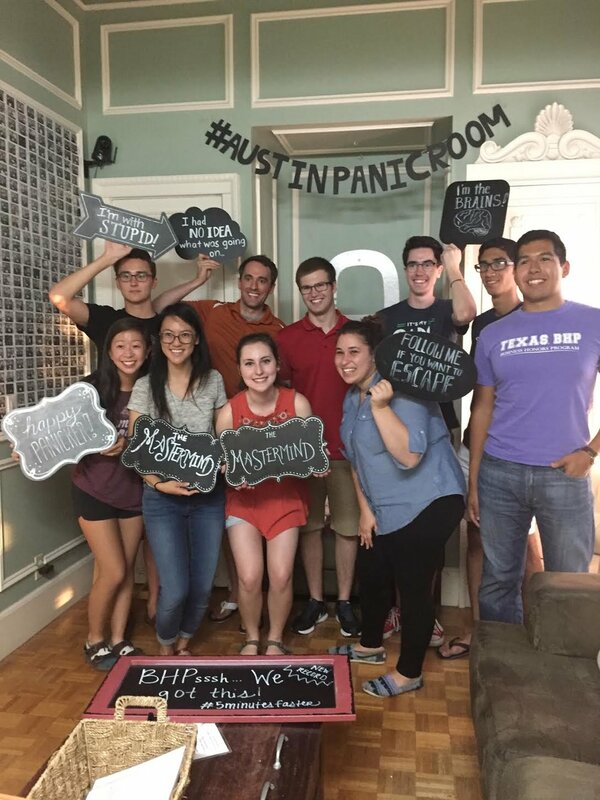 The competitive and creative juices were flowing when two teams came head to head at the Austin Panic Room. These teams were not only comprised of BHPhriends but also had the privilege of being advised outside of the office by our very own - Paul Pritchett and Tisha Monsey. 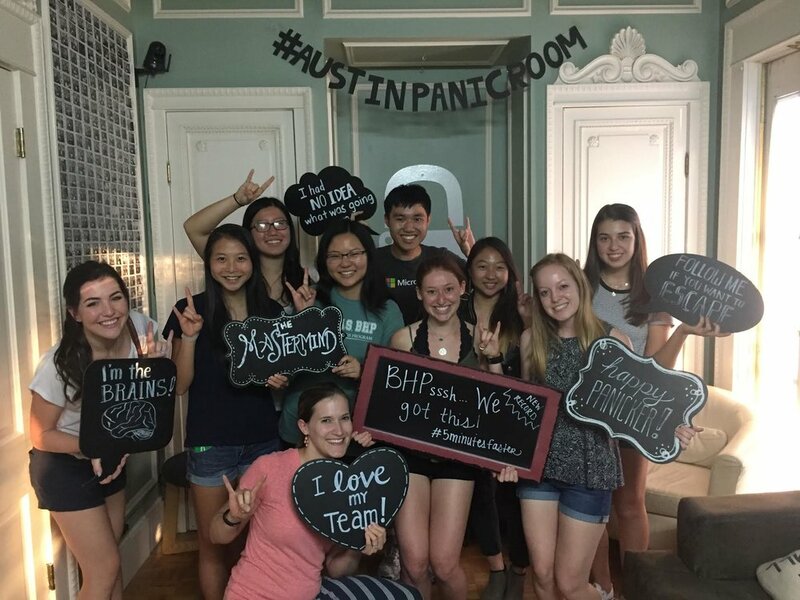 Each team tackled their own unique rooms in hopes of 'escaping' before their competitors. These rooms contained a series of clues, puzzles, and riddles that led to unlocking a series of objects, ultimately leading to the codes necessary to unlock the room. One hour was given to complete these tasks.